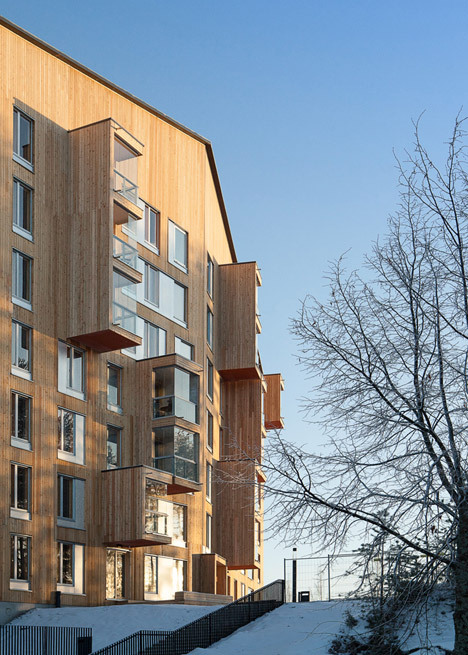 OOPEAA has won the 2015 Finlandia Prize for Architecture with Puukuokka – the tallest wooden apartment block in Finland and a single of the initial higher-rise examples of prefabricated cross-laminated timber development in the planet. 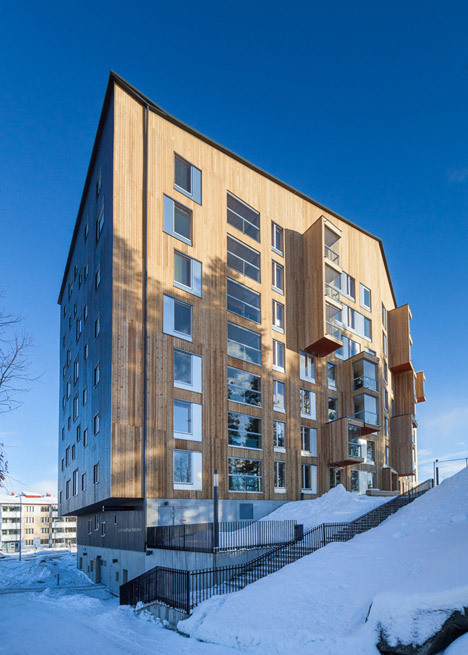 Finished earlier this 12 months in the Jyväskylä suburb of Kuokkala, the eight-storey apartment building was developed from prefabricated modules of cross-laminated timber (CLT), which studio founder Anssi Lassila mentioned had been “plugged in like Lego pieces”. These light-weight modules offer the building’s main structural framework. In contrast with common concrete constructions, they can be set up in half the time, with far fewer delays triggered by weather. Puukuokka gets the second winner of the Finlandia Prize for Architecture, which recognises the very best new creating either in Finland or by a Finnish architect. It was selected by composer Kaija Saariaho, who described it as “a creating that I felt most comfortable in with all my senses”. “I chose Puukuokka as the winner due to the fact it demonstrates values that I enjoy in daily life as effectively as in architecture: it is a courageous and ambitious perform that brings with each other an exploration of new prospects for creating and building, a humane sensibility, and a quest for ecological answers as effectively as a strive in direction of greater good quality of lifestyle,” she mentioned. 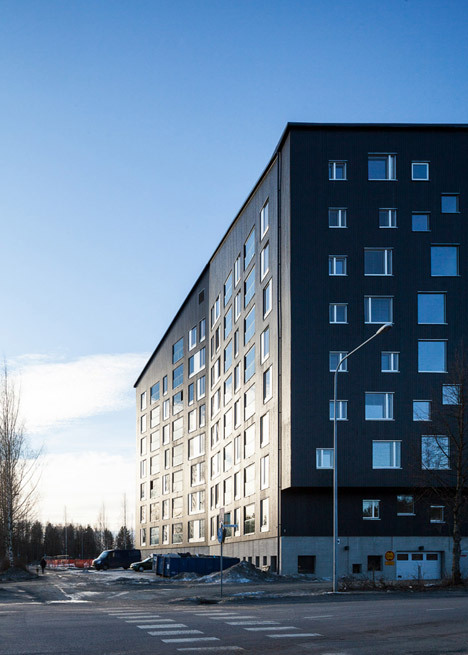 The firm saw off competitors from 4 other shortlisted buildings: Kangasala Arts Centre by Heikkinen-Komonen Architects OP Financial Group Headquarters by JKMM Architects Merenkulkijanranta residential block by NRT Architects and Opinmäki School by Arkkitehtitoimisto Esa Ruskeepää Oy. 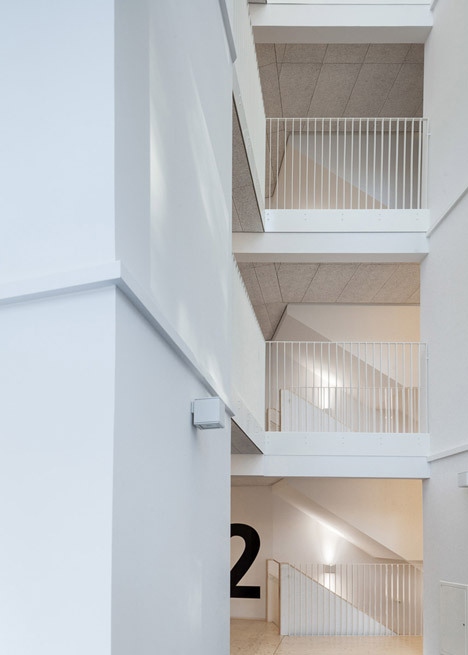 Formerly recognized as Lassila Hirvilammi Architects, OOPEAA has offices in Seinäjoki and Helsinki. Past projects by the studio incorporate the slate-clad Kuokkala Church in Jyväskylä and the wooden Property Riihi in Ostrobothnia. The prize was launched by the Finnish Association of Architects in 2014 to market the value of high-good quality architecture. The first winner was the Museum of the History of Polish Jews in Warsaw, Poland, by Helsinki firm Lahdelma &amp Mahlamäki Architects.